The ASVAB is by far the best cognitive measure here since it is a decent test and it was administered to the vast majority of respondents (not true with the other tests here)! 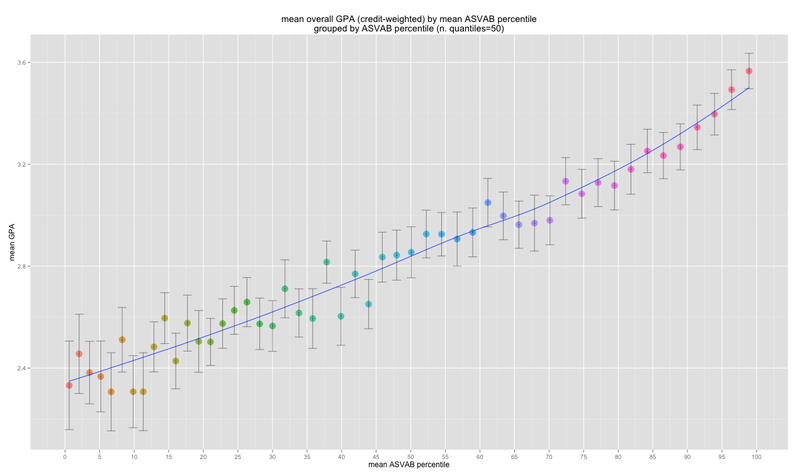 The reported SAT and ACT scores, for instance, suffer from both range restriction and self-selection issues, even though the tests are very well correlated with ASVAB. Nevertheless, I am including these other tests for completeness…. 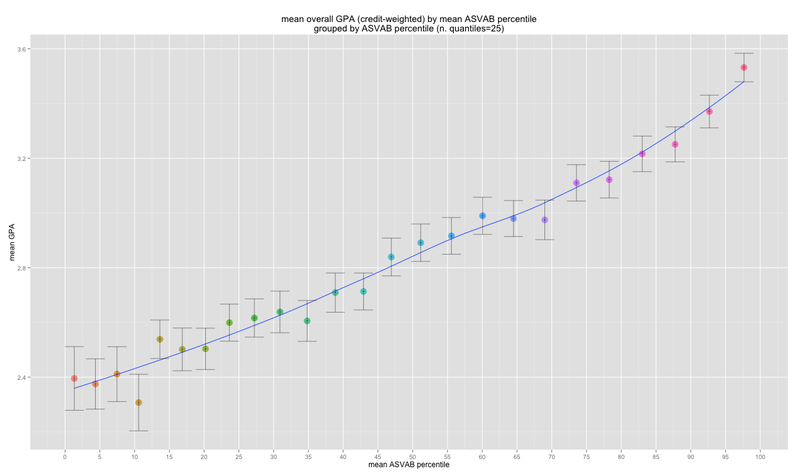 Note: I punched some quick numbers in for average years education as crude weights (S.W.A.G.) for cognitive intensity/discipline factor mainly, not as the necessarily actual empirical average number of years for each. 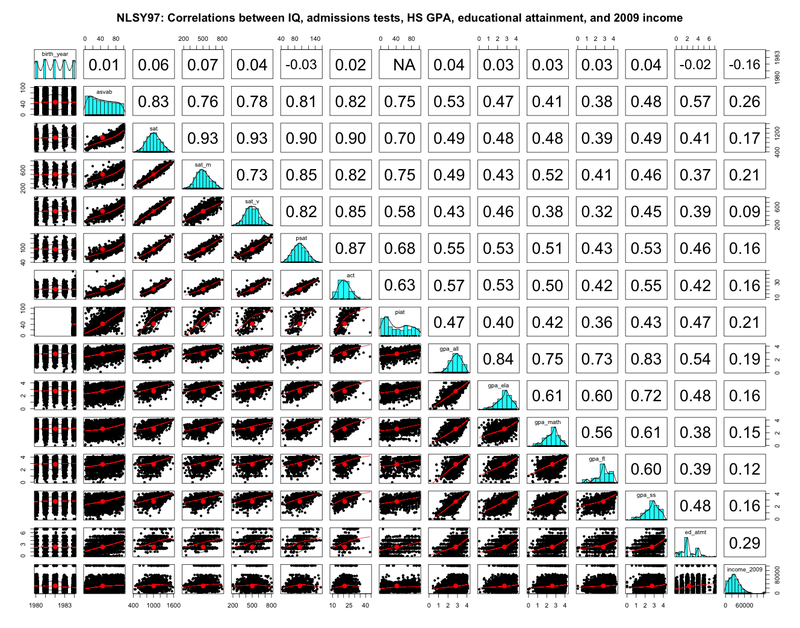 None = 8, GED = 10, HS = 12,2-yr degree= 14,Bachelors = 16, Masters = 18, Professional degree = 20, PhD= 21 (the average PhD probably takes considerably longer than this now :-).